The McVitie’s nibbles family has grown and frankly abandoned the biscuit and gone for the cake. Oooops yes the cake bomb has dropped. 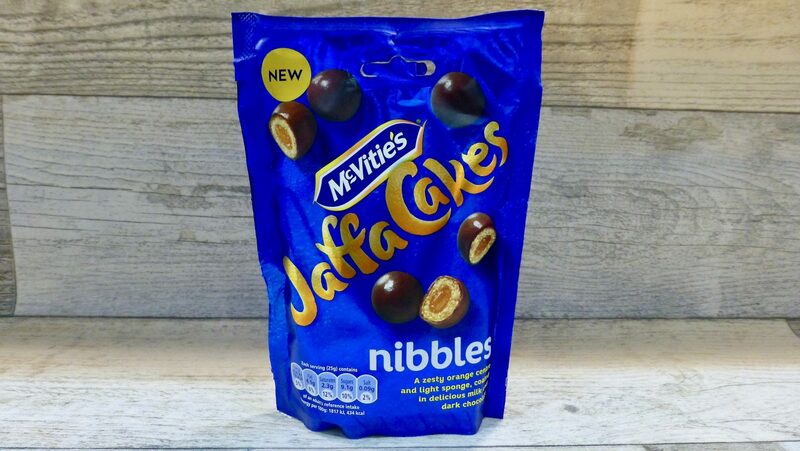 Is a Jaffa Cake a cake or a biscuit who knows and who cares at this point, because all focus is on the Jaffa Cakes Nibbles. If you think these are going to be little morsels then think again because these are more like beastie bites in comparison to the Digestive and Hobnob counterparts. Nonetheless they are still bite-sized chocolatey balls with a sponge and orange jam centre, and coated in smooth milk and dark chocolate. Currently on offer these were a £1.00 in Tesco, and if you are craving them on the go then it’s your lucky day because they also come in a mini pack. What the nibbles do not allow you to do is eat a Jaffa Cake in the traditional way. Come on you literally cannot eat one without doing full moon, half moon …. total eclipse! The taste test comes in two parts. Immediately after opening, and the day after. Upon first taste these are pretty much nuggets of yumminess. A Jaffa Cake rolled up into a ball what isn’t there to like. I do find that the ratio between chocolate, sponge and orange was more balanced here. The sponge wasn’t dry and the orange centre was soft and squidgy, making for a good Jaffa Cake. Now comes the stark comparison. A day after opening, and having had secured them tightly, they were stale. Like hard pellets they’d gone from bouncy to plain tough and hard. Not what you want from Jaffa Cake Nibbles that’s for sure! I do not seem to be alone in this as dry sponge and dissapointment has certainly been bounded about. What can I say McVitie’s this is certainly a two fold situation. 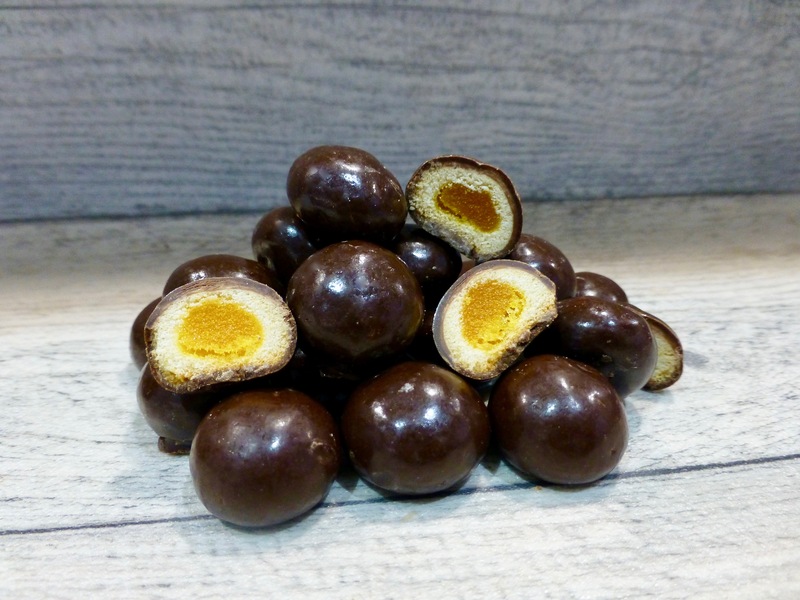 Day one I would have said if you love a Jaffa Cake then get your mittens on a bag of these Jaffa Cakes Nibbles pronto. However these quickly made a turn for the worse. So if you do buy a bag then you better eat them in one go! I wonder what will be next for the McVitie’s nibbles. Thoughts, feelings and suggestions please. Very disappointing. Too much cake and hardly any orange flavour. I’ll be sticking to the original jaffa cakes in future. I have heard such mixed feelings over these nibbles mostly leaning in the giving it a miss section! Shame. It’s not the first time I’ve heard these things come off as stale. I’ve seen one review where they didn’t even get the Day 1 joy – they were just poor from the start. Such a shame, but thank you for the review!